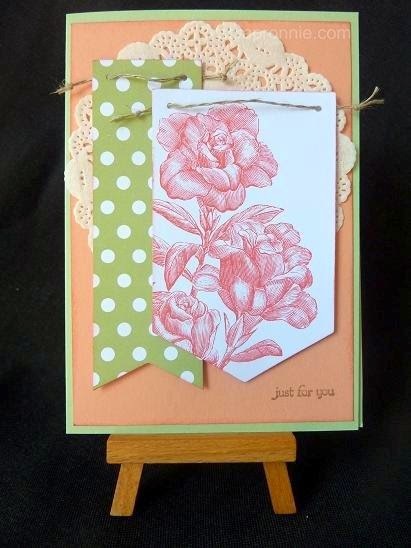 I love this little kit from Sale-A-Bration, perfect for layouts and cards. Only a few more days to earn the kit for FREE!. Contact me here for more information. Materials: Heartfelt Banner Kit (133514), Tea Lace Doilies (129399), Linen Thread (104199), Teeny Tiny Sentiments stamp set (130042), Crisp Cantaloupe cardstock (131303), Pistachio Pudding cardstock(131299) and Crumb Cake ink (126975).